Lassa Fever is a disease of the utmost importance. Like Ebola, it is a viral haemorrhagic fever, meaning that severe infections are associated with uncontrolled bleeding, which can lead to death. Whilst somewhat less virulent than Ebola, Lassa can still prove fatal in as much as 15% of those with severe illness. Sadly, this has been the case with the solitary patient recently treated in Liberia, who passed away last month. With echoes of the recent West African Ebola outbreak, this patient had travelled from Ghana, where she first received treatment for typhoid and malaria. Fortunately, the hospital staff that treated her in Ghana did not become infected with Lassa, and none of her close-contacts has shown signs of infection. A cross-border epidemiological investigation has already been completed by the World Health Organisation who have increased the surveillance for further cases should they occur. 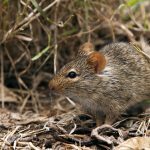 Lassa fever is transmitted by contact with contaminated rats’ urine; the patient becoming infected either by direct contact, or by eating food laced with the waste of the Mastomys rodent – said to aggressively enter homes in endemic areas. Lassa fever therefore usually chiefly affects those living in rural communities, but laboratory workers have also become infected in previous epidemics. First starting with a flu-like illness, the virus can infect the central nervous system causing tremors, confusion, coma and death. In addition, haemorrhage can occur in up to 20% of infected individuals. While a patient may be infected from a rodent, once symptomatic, spread from human to human is facilitated allowing for epidemics to occur if not controlled. Rigorous hygienic practices to deter the Mastomys mouse are recommended by the WHO, who during their investigation of this solitary case, have conducted awareness programmes in both Liberia and Ghana. A case of another haemorrhagic fever called Rift-Valley fever, has just been announced by the WHO. A 52-year-old Korean man, resident in Gambia, had travelled with some relatives to Senegal, Guinea-Bissau, and back to Gambia, when he fell severely unwell with malaria. After becoming comatose, he was evacuated to Dakar where he was said to improve. He sadly deteriorated a few days later, however, and suddenly passed away having demonstrated some signs of haemorrhage. Although the story is far from clear as conflicting blood test results were said to have been obtained, there is evidence that he died from Rift-Valley fever, acquired from an unknown source. 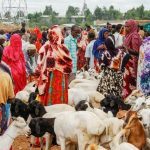 Most human infections of Rift-Valley fever occur from close contact with infected animals: in past outbreaks, herders, abattoir workers, and veterinarians, have been susceptible to Rift-Valley fever. The particularly concerning issue with this viral disease, however, is that it can also be mosquito-borne. It is therefore essential that good bite prevention practices are followed. For those at occupational risk of exposure, reducing animal to human transmission is important by following excellent animal husbandry procedures, and by wearing personal protective equipment when slaughtering animals. Listeria has caused 915 infections during the last year in South Africa, resulting in 172 deaths. The particular tragedy of this epidemic is that 43% of those fatalities have been babies, less than 1 month old. Those in Gauteng, South Africa’s most populated region, have been most affected, followed by individuals from the Western Cape. The disease is caused by the bacteria Listeria monocytogenes, typically a food-borne illness but can be found in both soil and water. Causing diarrhoea as well as fever and vomiting, listeria may resemble a bout of gastroenteritis when a less severe episode occurs. In more severe cases, however, the bacteria can enter the blood causing sepsis, produce meningitis, as well as heart, bone, and lung infections. Mostly affecting the very young, old, and those with immune system dysfunction, the overall fatality rate can be as high as 30% in some outbreaks. As the source of the outbreak in South Africa is yet to be identified, taking precautions is particularly important. These include washing hands regularly, and peeling fruit and vegetables before eating them. Meat should be cooked properly, and only pasteurised milk and cheese should be consumed. In the often-confusing world of influenzas, where combinations of numbers and letters signify the latest bug on the block, there is a new contender. Although only one human case has as yet been reported, H7N4 has now made an appearance on the world stage. A 68-year-old woman had become severely infected with the novel virus, and whilst she has now made a full recovery, she did require 3 weeks of inpatient treatment in Jiangsu province, China. 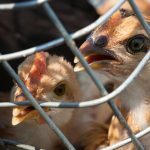 She is said to have had some chronic medical conditions that may have made her more susceptible to becoming ill with the H7N4 virus – but this is far from certain at present. With some diseases, like the Middle East Respiratory Syndrome (MERS) for example, significant past medical history has been identified as placing a patient at greater risk of becoming severely ill when certain viruses are caught. Like so many of the influenza patients in China, this individual had close contact with poultry from which she received the virus. The fact that all 28 of her close contacts have not developed the disease is surely a good sign that transmissibility between humans is poor – in common with several other bird flus. Despite this, many wonder whether it is just a matter of time before a particular combination of influenza components are assembled that will form a virus able to infect humans, and which can be transmitted easily between people. The last virus to do so occurred only about a decade ago, and spread from Hong Kong to sites around the globe in only 3 days. Thankfully, H7N4 seems unlikely to be able to do this.